According to the latest data, people are more interested in engaging with companies via chatbots and messaging than other contact avenues. Now is the time to ride the wave of messaging and reach customers with better engagement rates than email. To ensure that you keep customers around, use a comprehensive set of tools to engage leads and drive sales with your chatbot. Here are 29 essential ones for your next Facebook Messenger campaign to be a home run. Not familiar with coding? You’re out of luck. Otherwise, you’ll spend more time coding and developing bots than using them. Or worse — you’ll pay a developer thousands of dollars to do it. Posting organically on social media is slowly becoming less effective. According to a recent BuzzSumo report, social posting is now 50% less effective than it was just a few years ago. You need eyes on your content, but traditional promotion won’t do the trick anymore. Thankfully, you don’t need it. 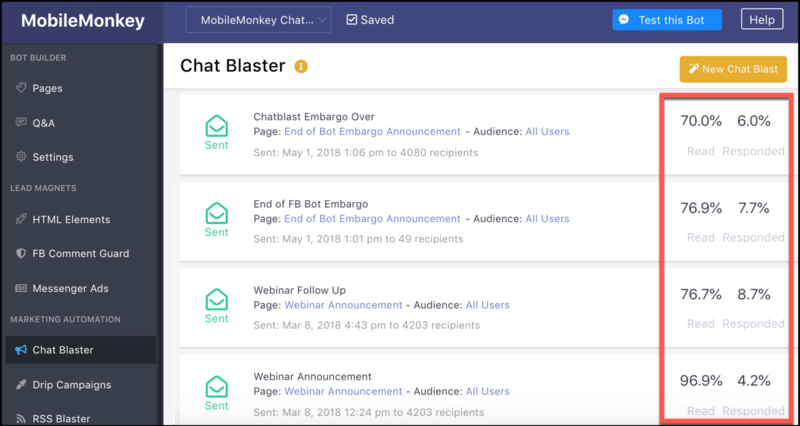 Chat blasting is a tool in MobileMonkey that allows you to send mass messages on Messenger to your entire contact list or audience segments. With chat blasting, you can send immediate messages or schedule them in advance like you would with email drips! Chat blasting is essential for Messenger marketing. Want to learn how to use it? Newsletters and RSS feeds are great ways to drive traffic to blog content that you’ve worked so hard to produce. But doing it can be time-consuming — especially when users aren’t opening your emails. Turn it on once and let the chatbot work it’s magic! Put your content sharing on autopilot and send RSS feeds directly into your subscribers’ inboxes. 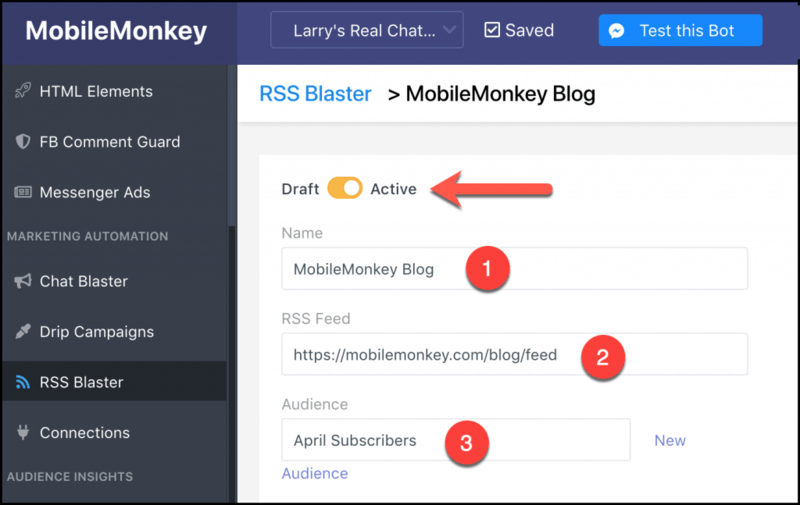 Read more about how to RSS chat blast for huge engagement. 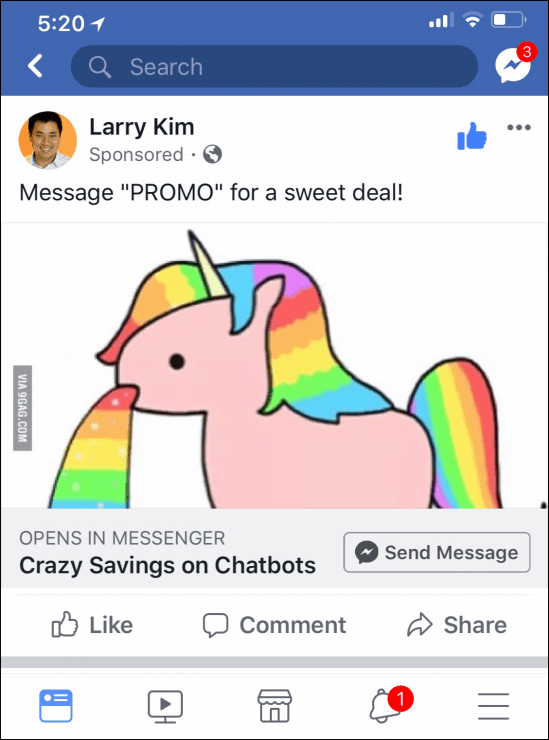 Have you ever heard of click-to-Messenger ads? But these ads are some of the most effective ads on Facebook. They generate up to 100% conversion rates! How? Every time someone engages with the ad by clicking the “Send Message” CTA, they opt into messaging your business. That means that all of their contact info and the ability to message them in the future is yours, which gives you easier and better opportunities to personally engage them. 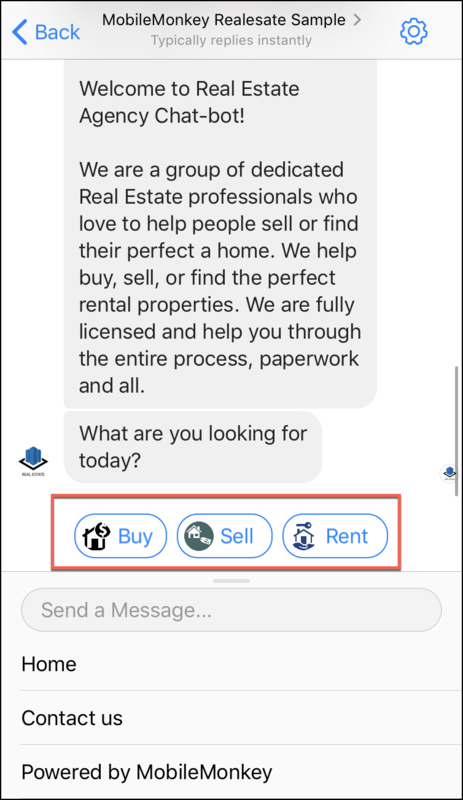 The key to utilizing this ad format correctly is using an integration between chatbots and message ads. This will allow you to direct “Send Message” clicks to your chatbot for easy lead generation. Learn more about setting up this 100% conversion rate ad type here. 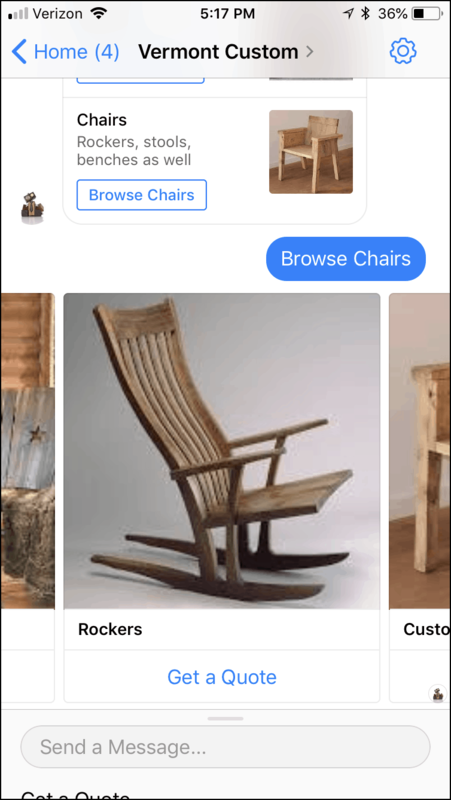 MobileMonkey’s visual chatbot builder makes it easy to add content to your chatbot pages with widgets. Some of these widgets are insanely powerful! 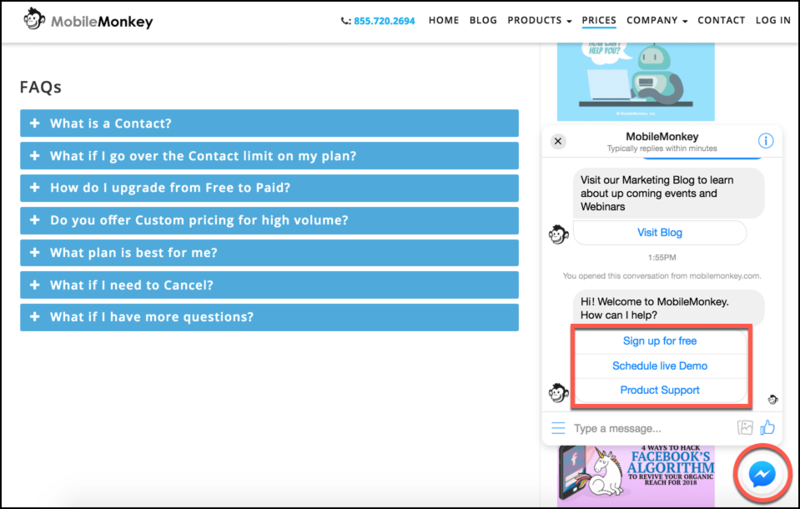 The form widget and the quick question widget are both easy ways to interact with customers. By using these two tools, you can automatically assign attributes to contacts based on how they react. 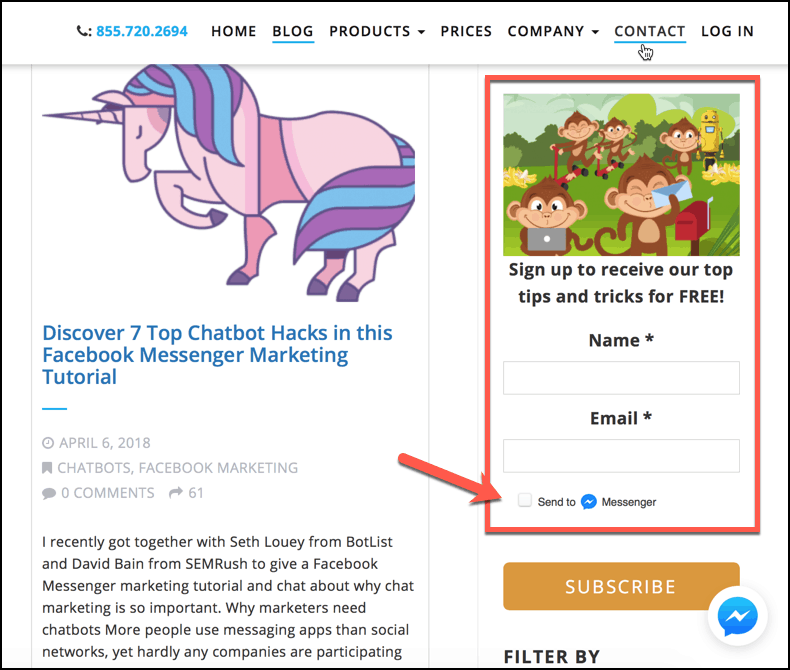 For instance, if they select “no” to your lead magnet offer, you can assign the attribute that they aren’t ready to become a middle-of-the-funnel lead yet! Quick question button taps count as engagements and help you reset Facebook’s 24+1 clock, which opens the door for more messaging! You can factor all of this data back into conversion funnels that allow you to drive sales more easily. These tools are critical for success on Messenger, and you shouldn’t start a campaign without them. Content widgets are an easy, drag-and-drop way to add content to chatbot campaigns. Here are two of the best widgets you can use. Each of these tools helps you display visual content in a more user-friendly manner to keep users engaged. Natural, conversational marketing is where it’s at. And sometimes, chatbots don’t give off that feel. When you use the typing widget, users who chat will your bot will see a typing bubble that creates the feeling of a human chat interaction. This also gives the reader a chance to read and react to new messages if there are multiple in quick succession. 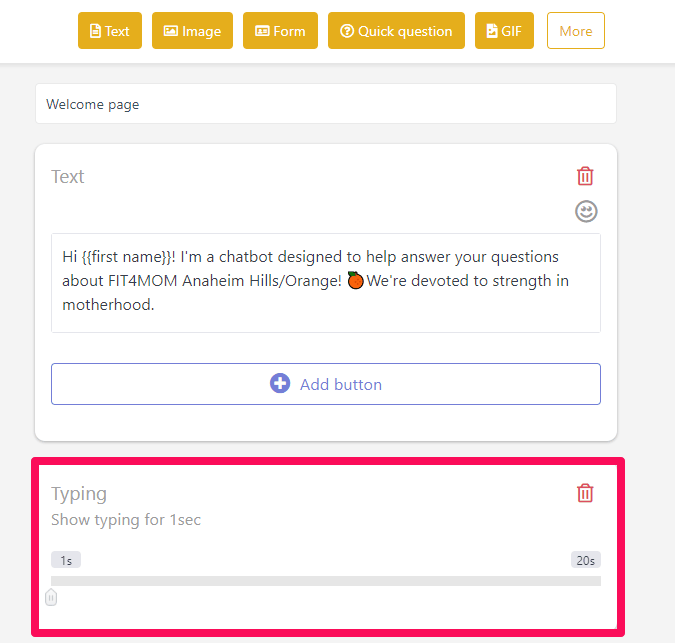 You can customize the typing between each text segment that your chatbot has. Plus, you can customize the length to match your message size for better realism. If you want to add a human touch, you need this tool. Studies prove that emojis can increase your engagement big time. Tweets with emojis get 25% higher rates of engagement (likes and shares). They can help your engagement rates on Facebook Messenger, too. For me, that means tons of unicorn emojis. 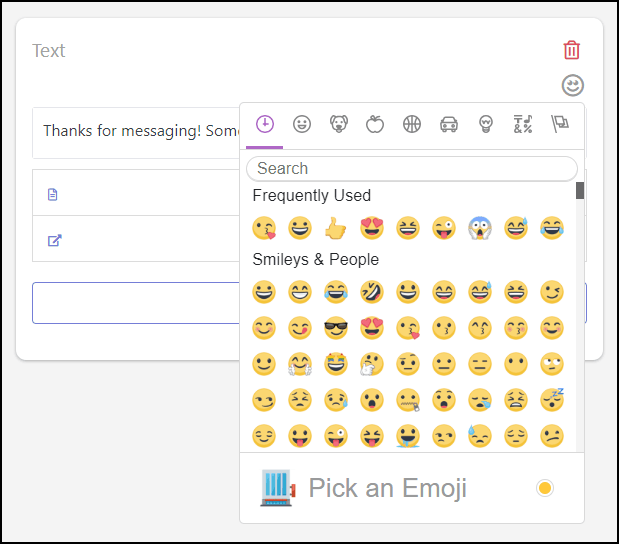 Now get started adding those emojis in your chatbots to drive your engagement sky high! 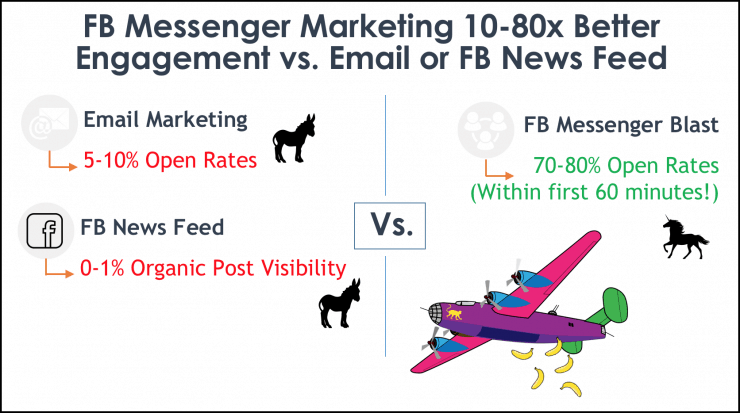 50-60% of the time, your Messenger messages will focus on basic FAQ information. Why? Searching an entire site for the information is tedious! Being there live to answer these is tedious and unnecessary. 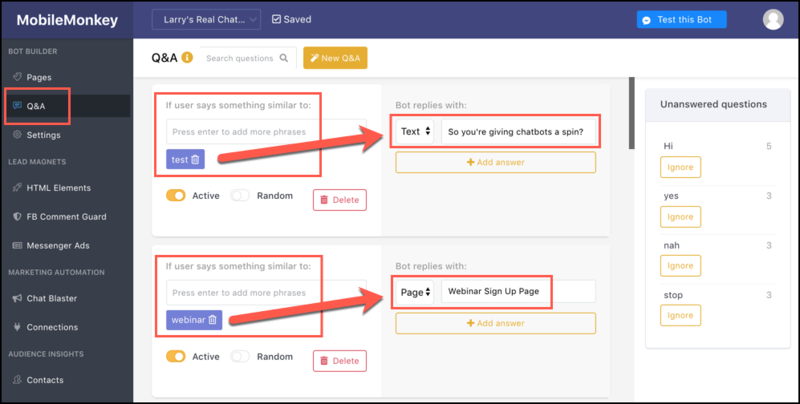 With the right chatbot tools, you can set up automated Q&A triggers for FAQs and even match intent. This is a critical tool for Messenger marketing. It’s essential for success and time optimization. 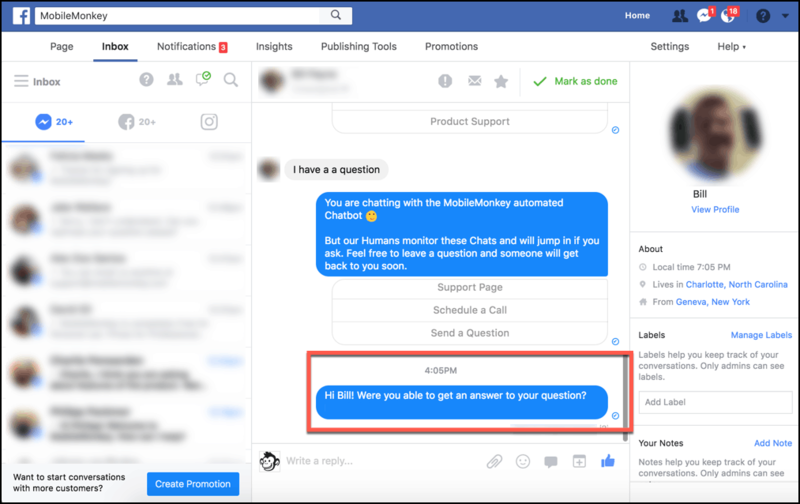 In MobileMonkey, you can set these up directly in the chatbot editor or the Q&A section. Click here to learn more about how to set up chatbots to handle your Q&A questions and adapt to new queries. Using live chat capabilities on your site can increase conversion rates by nearly 50%. When given a choice between other contact formats, people opt for live chat to get faster answers. And if you don’t have a live chat widget on your site, you are selling yourself short. When a user leaves your site, that’s it. They’re gone! You can’t contact them again. But with Facebook Messenger, they’re accessible even when they aren’t on your website because it uses Messenger rather than a software that’s exclusive to your site. 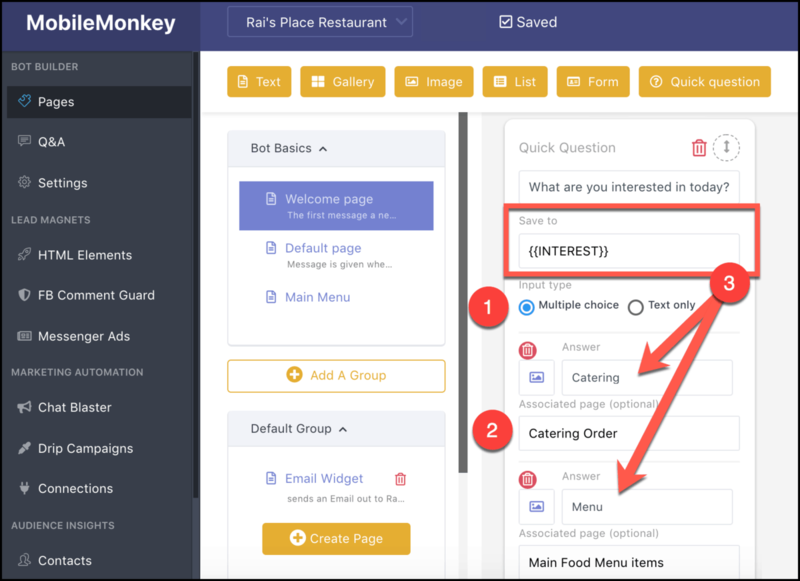 With MobileMonkey, you can simply drop a line of code on your site and have website Messenger available in seconds. Chatbots are one of the best ways to engage leads. They save you both time and money, and they even prevent the loss of leads that contact you outside of business hours. But sometimes, you need to jump in and add that personal touch to sweeten the deal or convince a lead to convert on a sale. That’s why MobileMonkey has live chat operator takeover. It’s an absolutely essential tool for success. No matter what Messenger tool you use, this key feature is critical for driving sales. When you share your content on Facebook, the goal is to get comments, shares, likes, and traffic. But what comes next? Do you engage those leads and interested users, or do you just sit back and let the good times roll? The next step should be turning them into contacts with Messenger. But doing that by hand is time-consuming and inefficient. Instead, a key tool is the Comment Guard, which we call the Facebook post autoresponder. It’s a bot that can automatically engage commenters on your posts to turn them into opted-in leads. 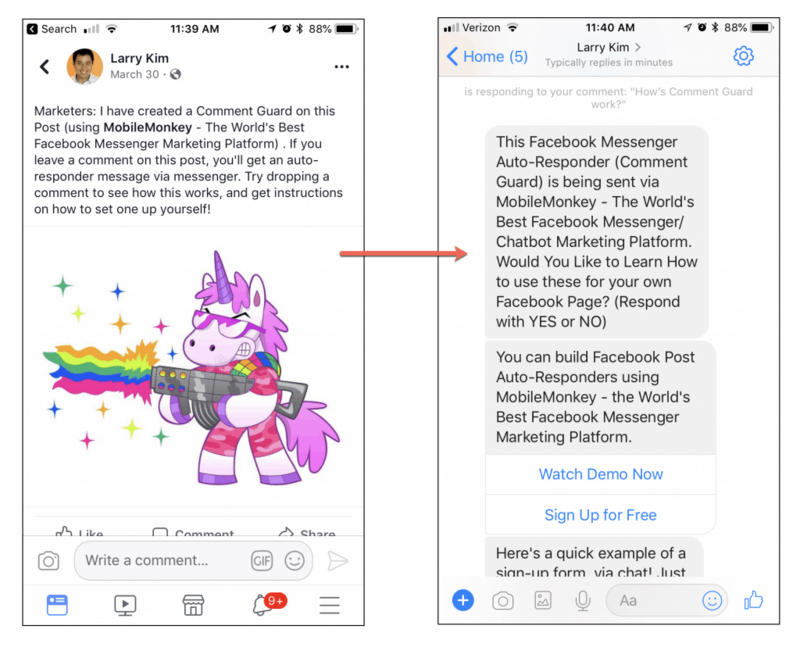 Once someone comments on the Facebook post, your chatbot can automatically engage them and send them a message. This tool is a great way to boost your organic posting success and make it more ROI friendly. Learn more about the autoresponder and how to use it in our guide. 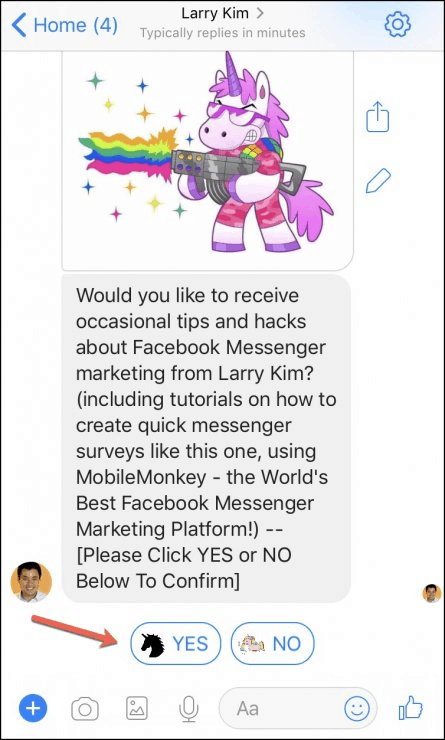 Opt-ins are the lifeblood of Messenger success. The more opt-ins you get, the more you can chat blast! But to get those opt-ins, you often need to put extra effort in and be hyper-creative. 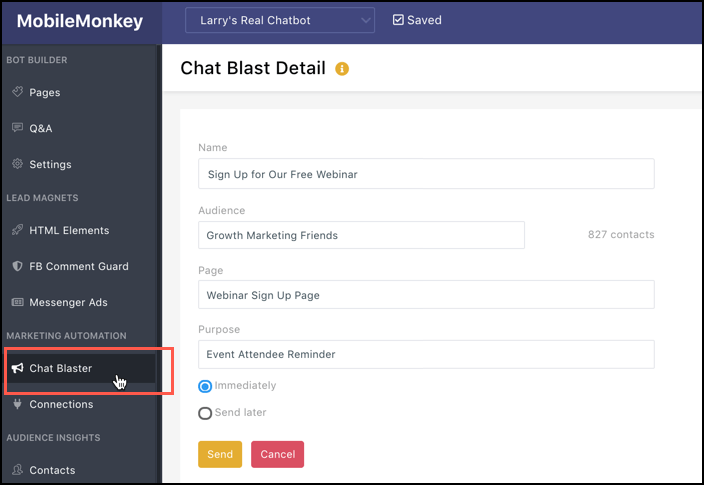 You can add checkbox plugins to any website form and enable easy sign-ups for joining your Messenger campaigns. That’s more contacts with less effort. Install them on your forms today with MobileMonkey! 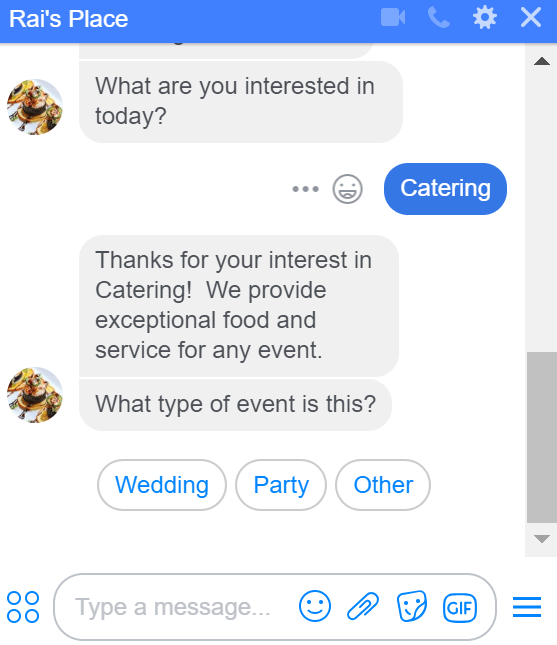 Building chatbots through Facebook is a nightmare. If you don’t know coding and can’t afford to hire a professional, it’s almost impossible to develop great chatbots. With these free templates, you can work off of bot sequences that are already established. Click here to test the template for yourself. Templates will help you save time because they’re already designed to qualify and convert leads with ease. Get started with templates to jump-start your campaigns and go live faster! Test this bot out for yourself to see how it works! 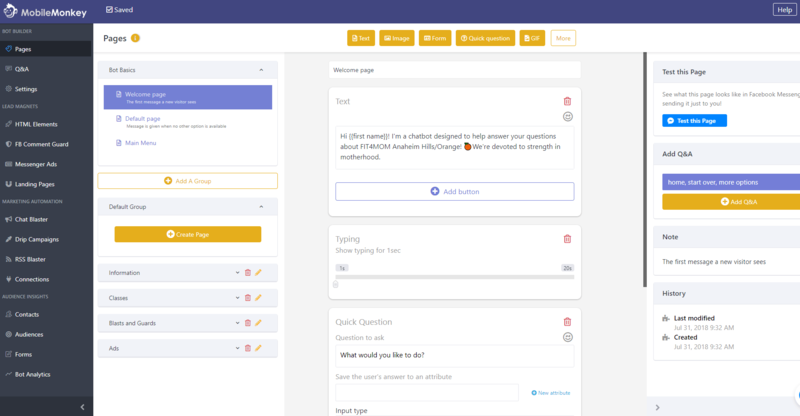 Depending on their response, your bot will deliver custom answers that you simply adjust on the back end. 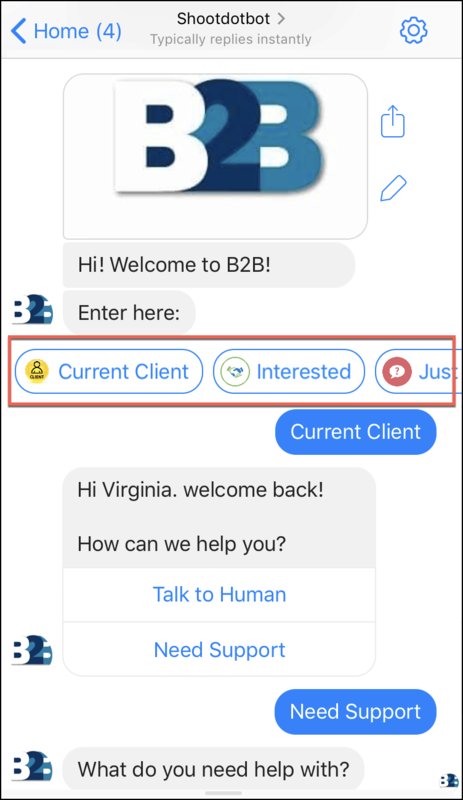 Get started today with the B2B chatbot template! Test the real estate bot template for yourself here. 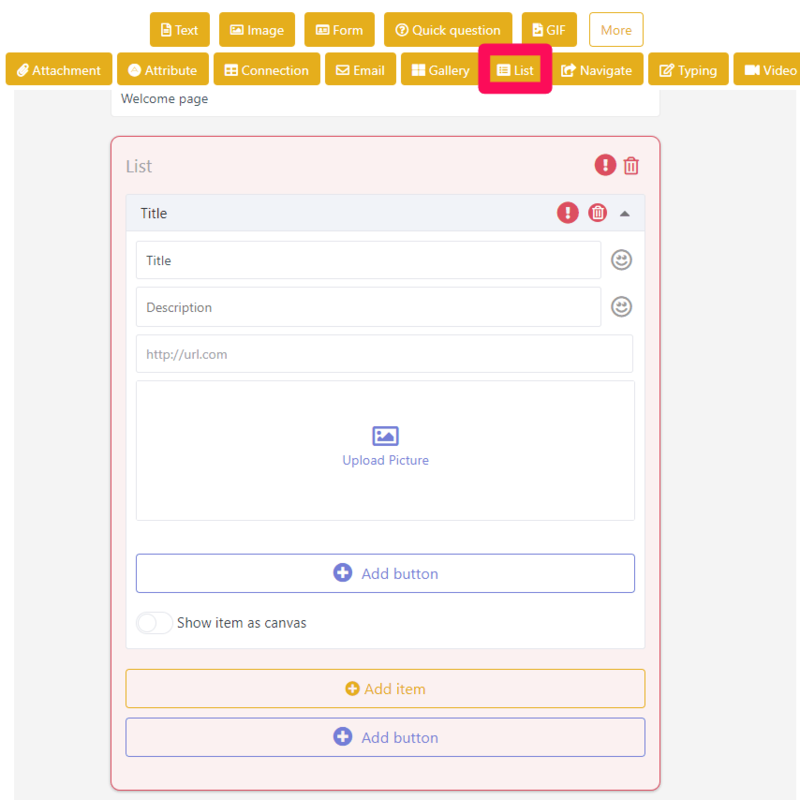 Skip the legwork of creating bot sequences and use our custom template instead. Adapt it based on your own business and information, and you’ll be converting leads in no time. If you run an ecommerce store, using a chatbot is a great way to showcase products and even drive direct sales. 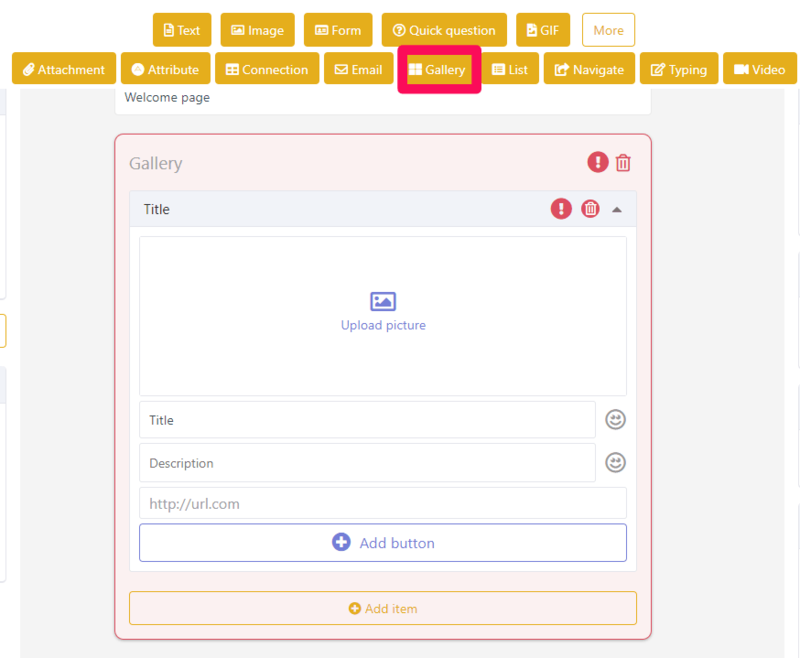 Test out the retail / ecommerce bot template to see it in action! Making sales conversationally has never been easier. Get started with your own retail chatbot template today to speed up your sales process. 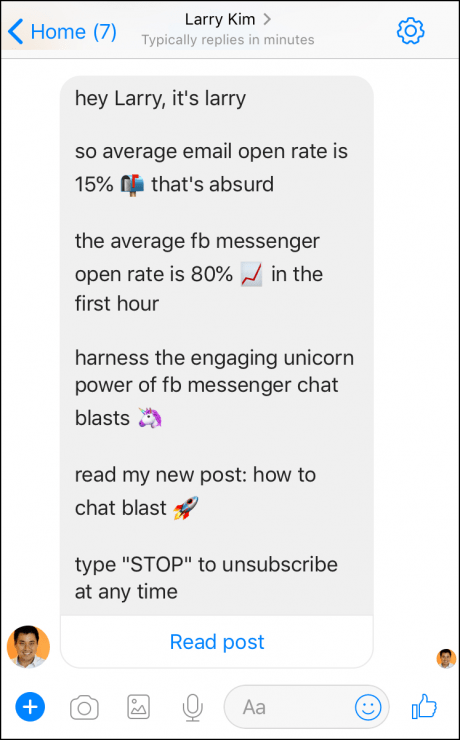 Let’s say that you recently ran a stellar, unicorn-level campaign on Messenger. You got massive 90% open rates and 10+% response rates. Amazing! 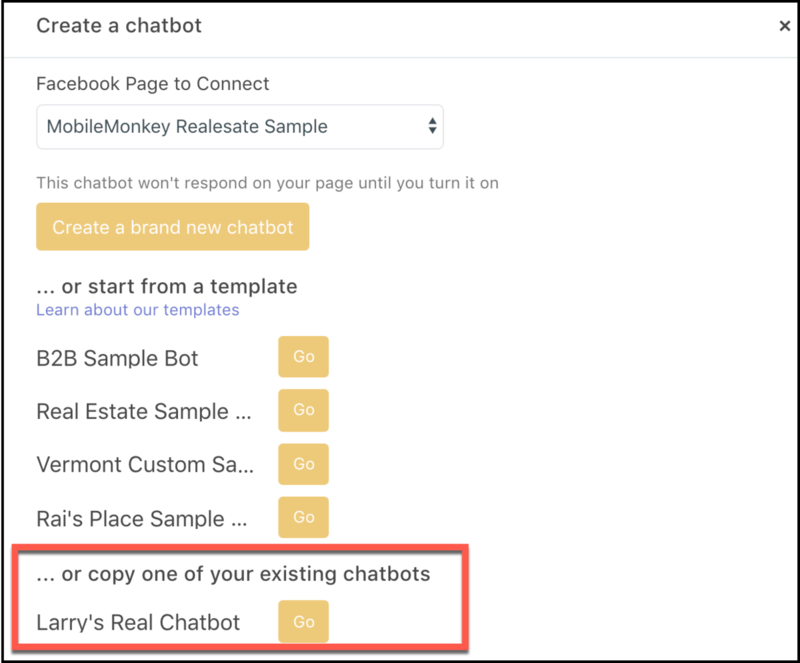 In addition to selecting templates, you can easily copy a chatbot that you’ve developed with MobileMonkey. This makes it easy for you to recreate unicorn campaigns without building them all over again. Managing dozens of bots and campaigns on Messenger without a platform can be a daunting task. You shouldn’t have to piece together messages and contacts to see what the last conversation was or how they reacted when they received a message from a chat blast. Thankfully, with the MobileMonkey dashboard, you don’t have to. Bonus: Coming soon, agencies will be able to manage client accounts, and anyone will be able to assign user permissions for their team! Running campaigns and linking users to your mobile landing page is a common strategy. It might generate a few percents in conversion rates. But if your site isn’t mobile-friendly or designed specifically for mobile users first, you’ll struggle to see the unicorn-level conversion rates that you really desire. And taking a mobile-first design strategy is a full-scale overhaul of your entire website. It requires you to redesign your entire mobile site. You need a full team that’s dedicated to mobile optimization, design, and development for that (i.e., more money). Thankfully, there’s an easier way. 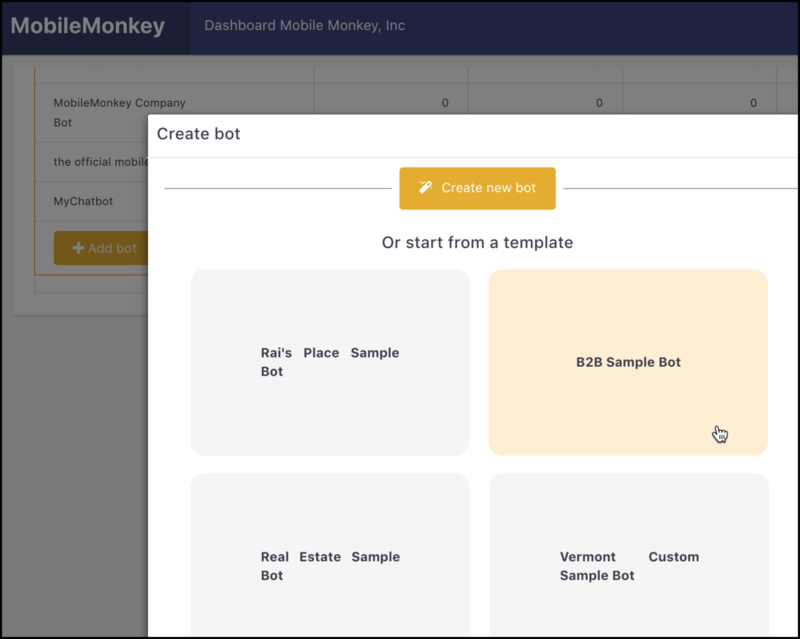 Just create a new bot or use one of MobileMonkey’s bot templates and link to that for your next landing page! 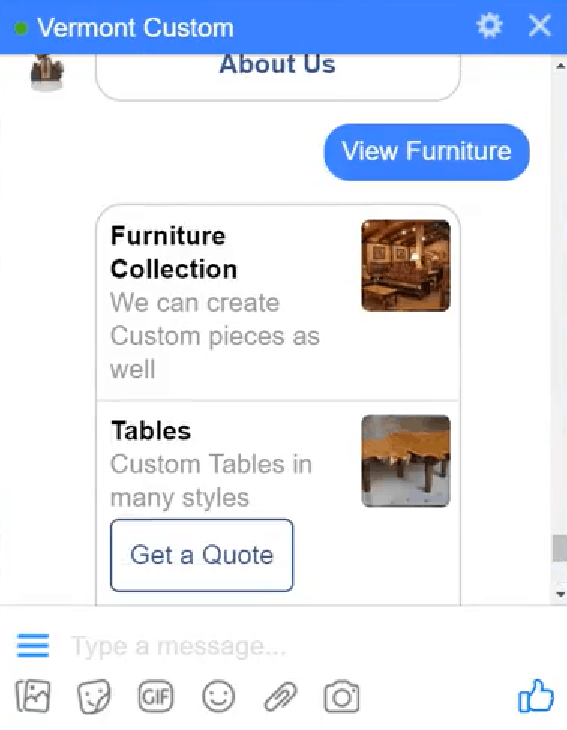 Get started with linking to Messenger for mobile-friendly campaigns without the overhaul. A key tool for succeeding on Facebook Messenger is a code-free conversion form that you can set up in minutes. These forms allow you to engage users with chatbots that can convert without you ever touching the platform. By using quick, multiple-choice questions, you can convert users just like a form on your website would. But this way, you have a conversational tone. These are essential for just about any campaign you run on Messenger! Get started with Facebook Messenger conversion forms ASAP. 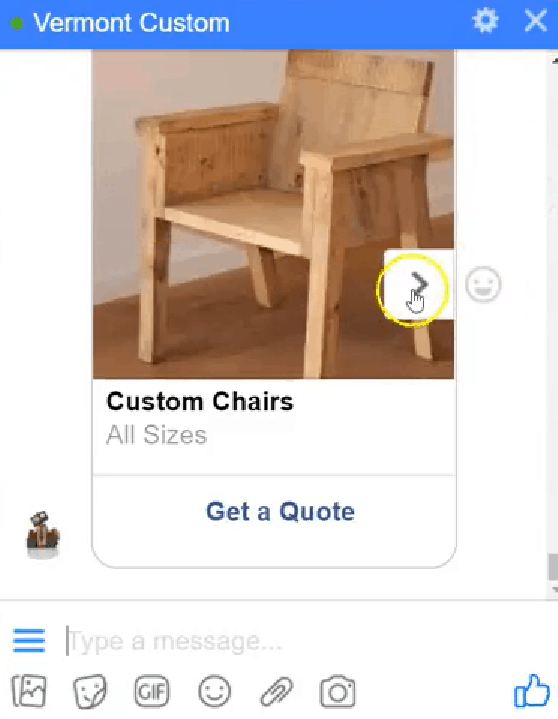 The problem with using Messenger by itself as a marketing tool without a toolset is that you can’t segment audiences based on custom variables. Meaning that you’re firing messages at diverse contacts that might have totally different interests. That’s not good for conversions or keeping people subscribed to your messages. You will likely struggle to personalize your chatbots, too. 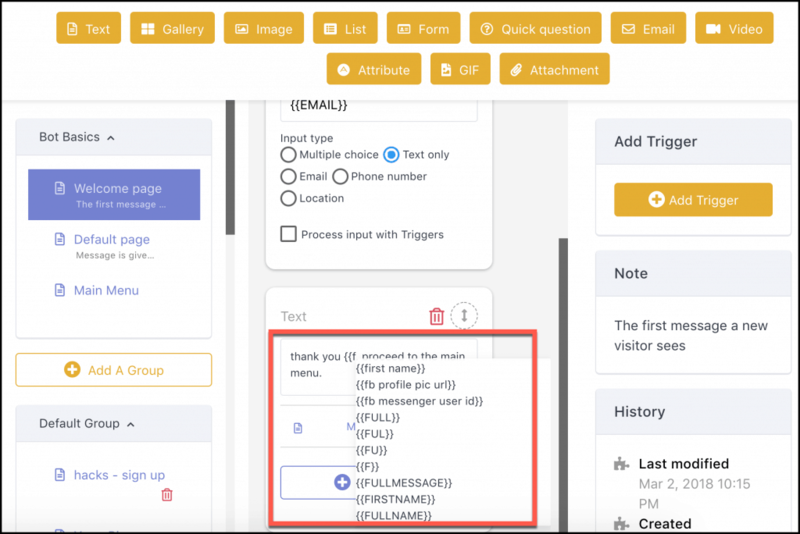 A good platform will pack all of these custom variables that you can use to customize and segment your messages based on each user. Want to test out custom variables? Here’s our guide to getting started. It’s probably no secret to you that segmented campaigns drive better results. If you cater to multiple target markets, then sending the same messaging to each might result in poor performance. For example, say that you sell both PPC and SEO services. If you send SEO messaging to your PPC audience, they’ll run for the hills. They won’t be receptive to it because it’s not their interest. Most chatbots struggle to segment and force you to send the same chat blast to everyone. But that’s not efficient nor effective. 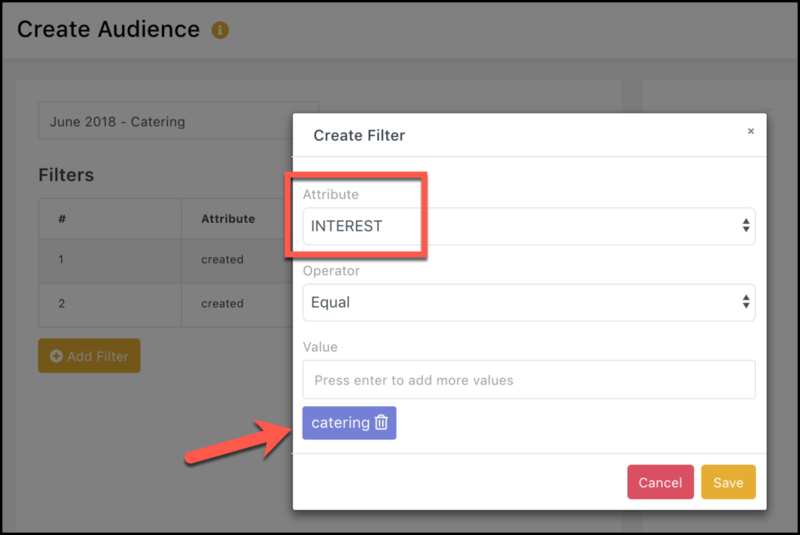 Learn more about creating segmented audiences for chatbot marketing in MobileMonkey today. Drip campaigns are a marketer’s best friend. They maximize your ability to keep users in the funnel if they stop engaging, and they quickly push users through the buyer’s journey with valuable content and offers. Email drip campaigns are pretty good. They generate an average of 5-10% open rates. Though that’s not bad, it could always be improved. Messenger drip campaigns should be a staple tool in your strategy. You can run the same exact drip campaign as you would via email marketing while generating better responses! It’s time to give Messenger drip campaigns a go. Analytics are critical for success in any marketing campaign. If you don’t know the key statistics of your performances (or failures), you can’t effectively make decisions to improve next time. Worse case scenario, you could even be losing money with each passing minute, hour, and day. 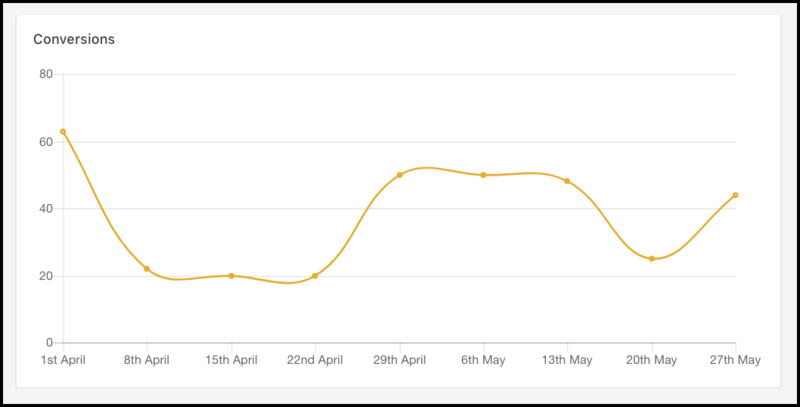 An essential tool for your Messenger strategy is analytics tracking. Make sure that your Messenger marketing strategy is equipped with top-tier analytics. On top of general performance metrics and KPIs, an essential tool is chat blasting analytics. 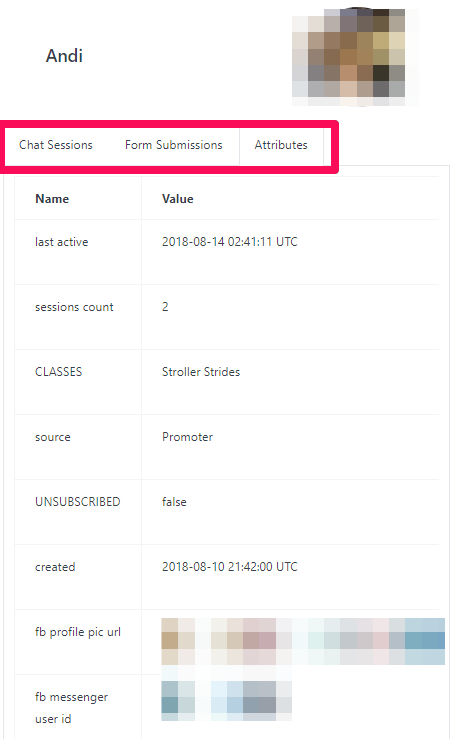 Why do you need data about your chat blasts? To see which ones resonated the most with your audiences! This type of data allows you to track your campaign effectiveness on a single campaign scale. You’ll have data like open and response rates as benchmarks for future campaigns. Landing pages are basically the bread and butter of a marketing campaign. They’re the key touchpoint that either makes or breaks your conversion rate. So, what does your landing page look like now? Is it mobile optimized? Is it easy to convert on? How much conversion friction does it have? A key piece of the puzzle that you should include in a Messenger campaign is landing page development. This landing page that I built is actually live right now for my webinar. Check it out here! Landing pages are essential for driving more opt-ins and leads. 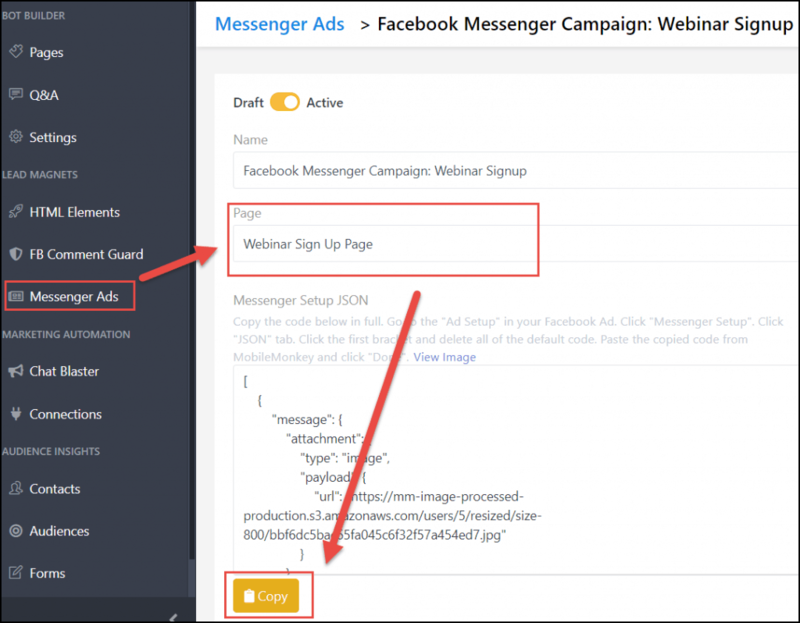 Get started with creating your Messenger landing page now! Marketing automation is a powerful tool. According to the latest reports, marketing automation produces a 14.5% increase in sales productivity and reduces marketing overhead costs. 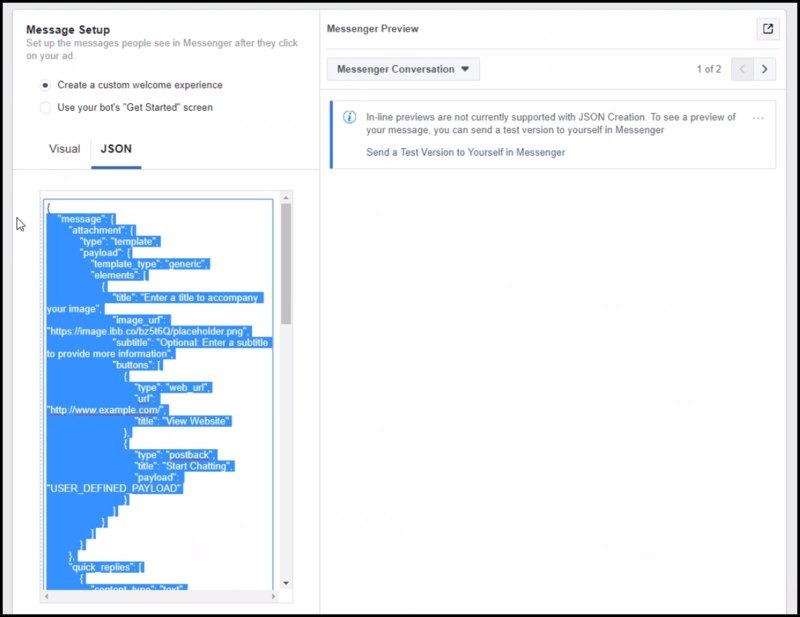 The ability to connect to thirty parties is a key feature that you should look for in a Messenger platform. Export your emails that chatbots collected to your email provider and run campaigns. Instantly send lead data from chatbots to your CRM. Connect to an SMS service or callback number. 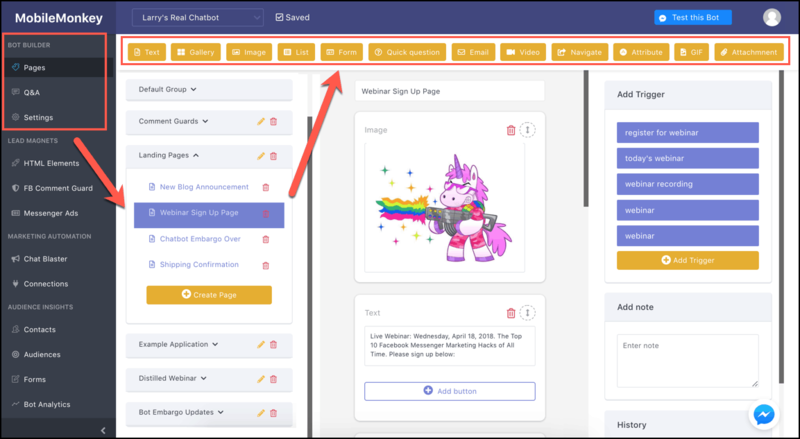 Drive webinar sign-ups and create a registration directly in your chatbot. It’s time to get started with chatbots and marketing automation. When you use Messenger as a marketing strategy, it’s easy to build up huge contact lists. How do you manage who is a business lead and who isn’t? What about their key information that drives their interest in your company? You need a contact dashboard. Contact management will help you organize, segment, and personalize customers demand. Now is the time to use Facebook Messenger marketing to grow your business. Less than 1% of businesses on Facebook are using this tactic, which makes it a first-come-first-serve market. There are countless innovative ways to reach new customers. But you need the right tools. 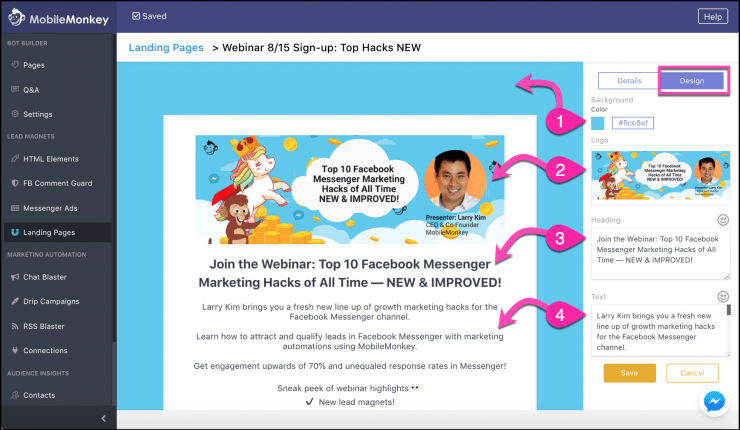 There are tons of amazing tools that you can use on Facebook Messenger to improve your marketing, engage leads, and drive sales. Make sure that your platform and your next marketing campaigns make use of these 29 tools that can help you convert more loyal customers. Put these to use today with MobileMonkey and sign up for free!